Shelly Powell, George’s much younger cousin, passed away this morning, after a courageous, tenacious battle against stomach cancer. She fought so hard and defied all the doctor’s expectations for a year. She was only 55, a great hiker, a vegetarian, she worked out, she had a spiritual practice, and was beloved by an enormous circle of friends. This is not at all fair, but, as a friend of mine says, “Mother Nature doesn’t give a damn.” And cancer doesn’t care. Her partner Mark and her great friend Jan were with her at the end, and we had been able to see her last week at her “celebration of life” party. We are heartbroken, but she is no longer in pain. I share for her A.D. Hope’s poem on the death of his wife. At the beginning of the year, George was still working at Sheppard Mullin Richter & Hampton, and I was still working as Librarian (part-time) at LACMA in the Rifkind Center for German Expressionist Studies. 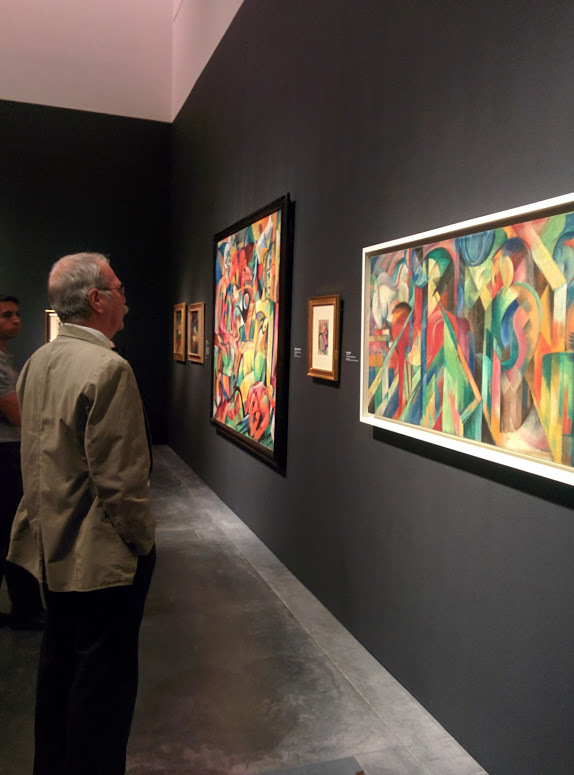 The Center was in the final stages of preparing for a BIG show on German Expressionism and France. Because the staff was so overworked, I was asked to be a curator for a small exhibition in the Rifkind Gallery on the Expressionist Book (it is still on view until the end of January, and I’ve written a blog about it: http://unframed.lacma.org/2014/10/20/written-image-and-wordless-novel). George & I then took the train up to a FREEZING Cambridge, to meet with our Austrian friend Wolfgang Petritsch, newly retired from the diplomatic corps and then a Fellow at the Kennedy School’s Weatherhead Center for International Affairs at Harvard. Wonderful conversations. After not having seen each other in decades, we learned that Wolfi would be in LA in April to talk at USC, so we would be able to meet again in one month. This event led to another happy occasion: we were invited to a dinner in Wolfi’s honor at the Austrian Consul General’s residence, for which he requested that we contact his old flame and my old friend Celine, whom I hadn’t seen in about 25 years. 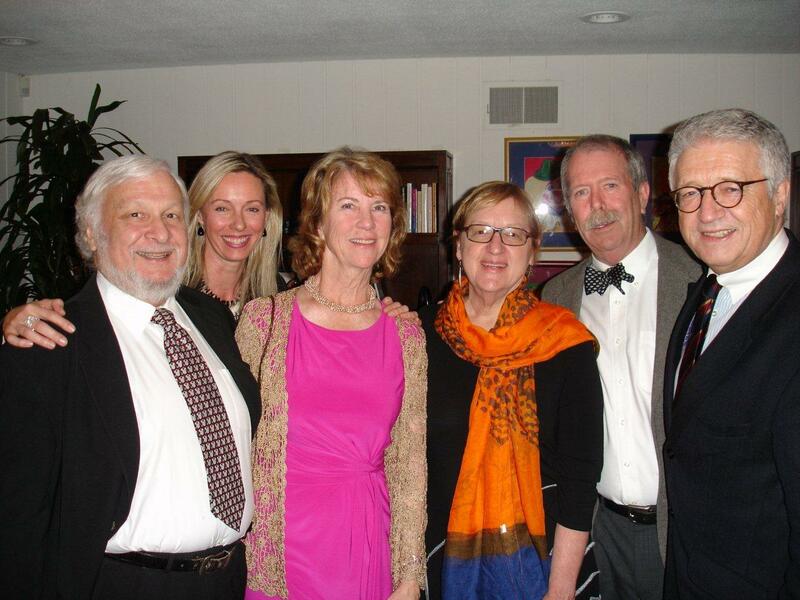 Happily, we were all reunited at the dinner, and met the lovely new Consul General, too: here we all are, with Wolfi on the right end, and the Consul General Ulrike Ritzinger between Celine and her husband Robert. Also in April, George entertained a group of Brownies by showing them his beehive and talking to them about how bees make honey (the Brownies included friend Anna Rodriguez’s daughter Natalie). 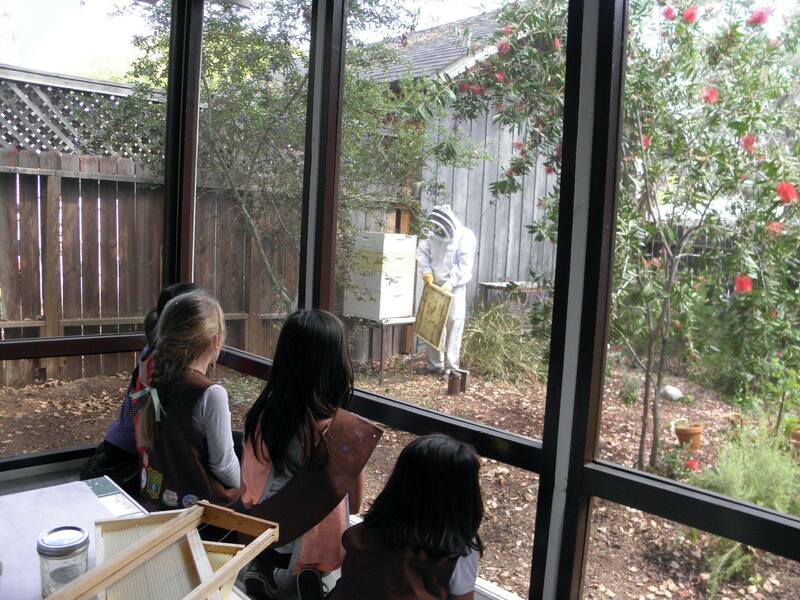 The girls were more concerned about what George looked like in his bee suit than they were of the bees in the hive. George loved it! He also continues to make his little notebooks, and is making progress. The summer brought more excitement: I was invited to give a keynote address at a conference in Brisbane, Australia! A paid trip! 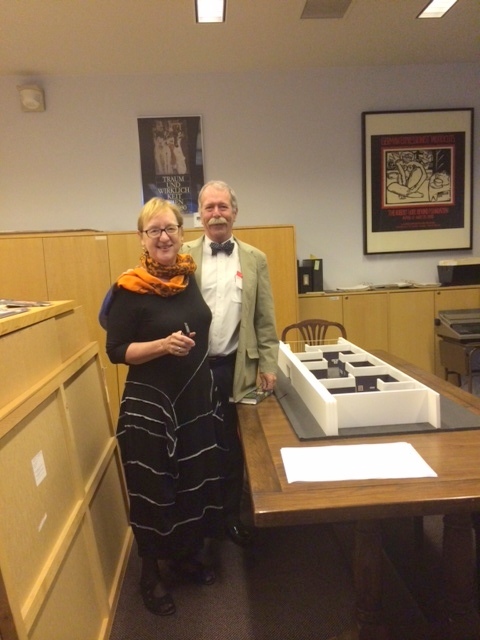 My friend and colleague Prue Ahrens did a magnificent job in organizing “Broken Images: A symposium on early American photography in the Asia Pacific, 1850 – 1950”, and obtained Terra Foundation funding to bring in international speakers. 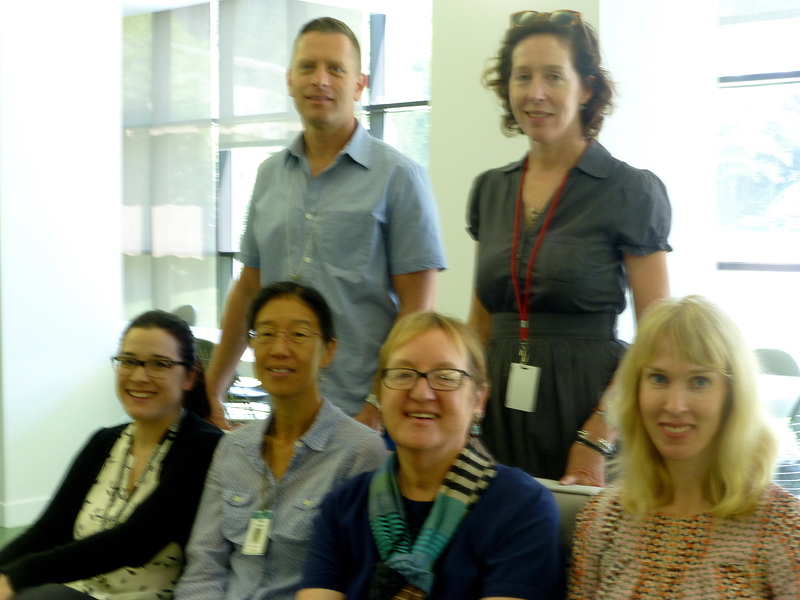 Great fun to see all my old Aussie pals and to meet new ones (and my first trip to Brisbane!). G. was then able to join me in Sydney, and we visited all our friends (thanks Andrew & Noelle!) (and the birds!) 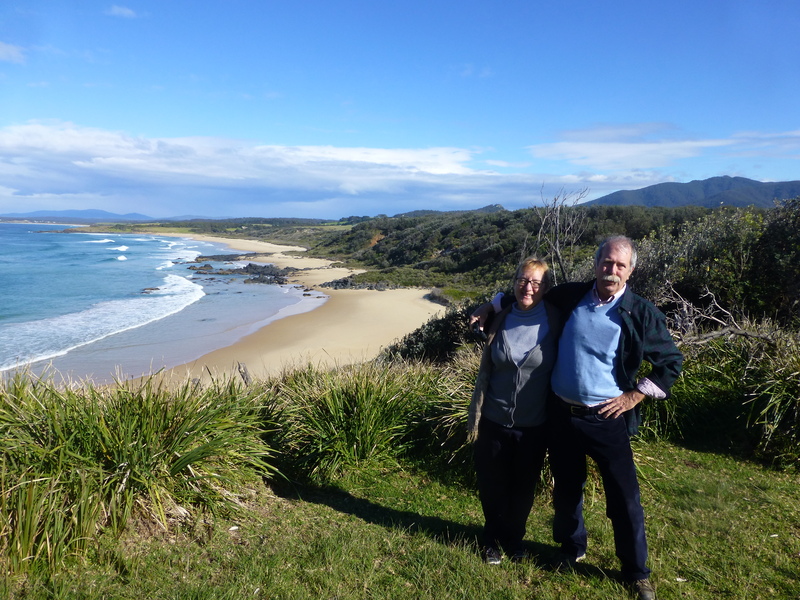 and sought out old favorite places driving all the way down the NSW South Coast to Melbourne (where we met with Kris Nielsen who came from Adelaide to see us–after 25 years! And Roger Moloney, too.). We must send thanks to all our wonderful friends who made the trip possible by housing and feeding us: Bruce & Diane Swalwell, Chiaki & Colin, Maggie Brady, and Tonia Liosatos and her lovely kids Angus and Annabelle! That’s the happy couple at 1080 Beach, Mystery Bay, NSW. When we returned home, I took a week to help install the Expressionist Book exhibition, and then I RETIRED from LACMA! My colleagues kindly gave me a lovely goodbye party, with presents and goodies. I really was touched, and thank all of you! It took a little while to adjust to an “idle” mode, having never been in such a state in my entire adult life, but I’m now getting the hang of it. I’m taking a drawing class, swimming therapy, and I’m in two book clubs. Soon I’m going to start volunteering, and working on new book projects. Now I can’t wait until George can retire, too (next July), and we can travel and visit and do all kinds of fun things while we’re still able enough to do them! 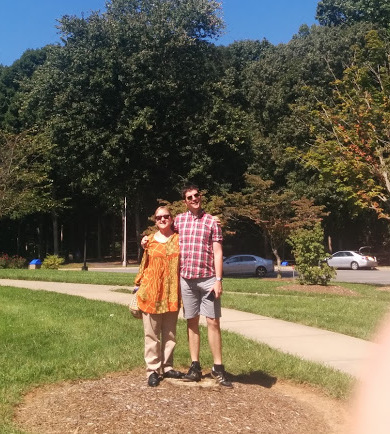 With the happy surprise of an invitation to Karie Reinertson’s wedding in Asheville, NC, I decided to use it as an excuse to go visit my sorely missed children Max & Dottie, who are still in Chapel Hill. (Dottie has finished nursing school and is now working in the UNC hospital–well done, Dottie!) We all drove up to Asheville through the beautiful North Carolina countryside. The wedding was a sweet outdoors affair, and the next day was Max’s birthday; we were able to celebrate by eating our way across the state! 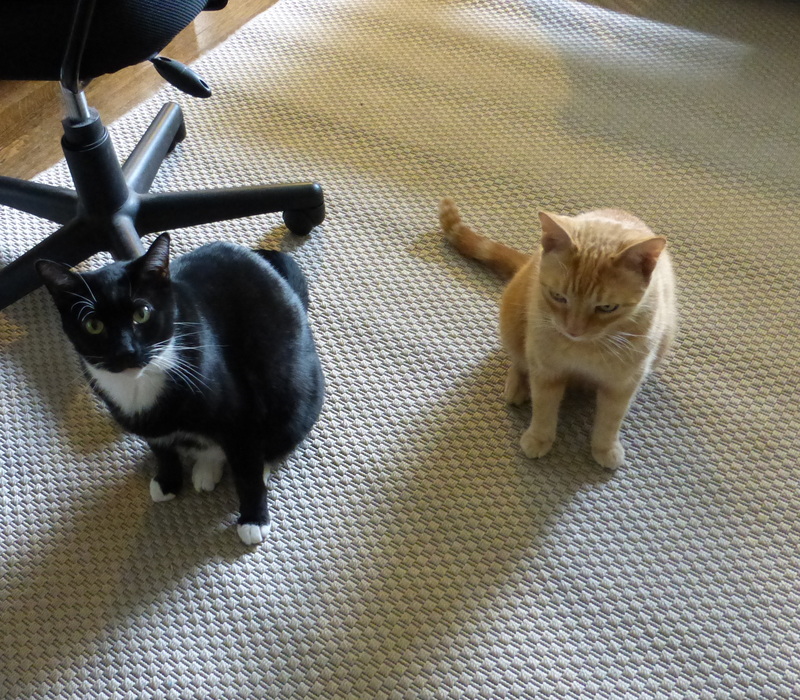 Max is now starting the job search, so next year they may be living somewhere else (hopefully closer!). –in February, Australian friend Chiaki stayed with us at the start of a long study trip on her Bernard Leach-Japanese ceramics project. We had a lovely dinner arranged by the phenomenal impresaria Dale Gluckman, at which Chiaki was able to meet with famous people who had known Leach. She was thrilled. 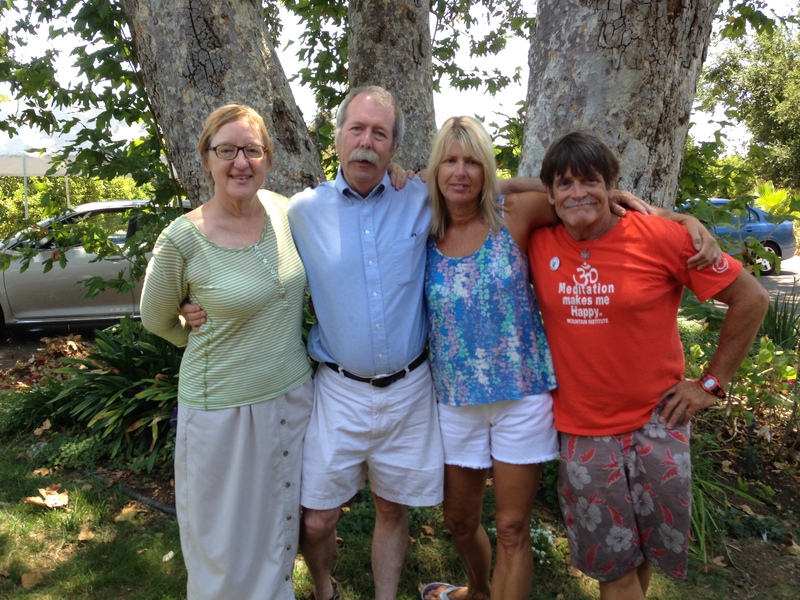 –my high school friend Robyn Weydert Edgerton & her sister Lynn came in May–we hadn’t seen each other in nearly 40 years! What fun…. –our old friends the Lessers arrived from Colorado Springs for a weekend in May–we never get to see them enough! Well, if you’ve read this far, we applaud you! We send our warmest greetings to all of you, and hope that you will be surrounded with friends and family for the holidays, and that the New Year is a good one! So enough! Thanks for reading! Be in touch! Erika & George, 450 N. El Molino Ave., Pasadena, CA 91101, 626 744 0208 (home), E. cell 626 644 2389, G. cell 626 394 5445, esauboeck@gmail.com, Website: http://www.esauboeck.com, Blog: https://esauboeck.wordpress.com.